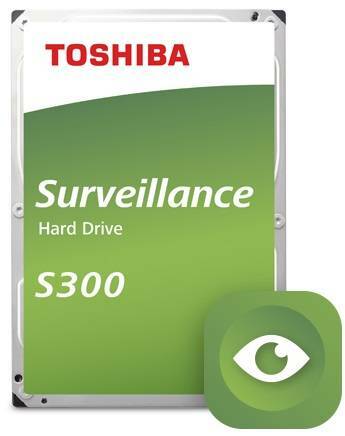 The Toshiba S300 Surveillance Internal Hard Drives hold all the capacity you need to take on high-definition surveillance video streams with equally high performance and surveillance-critical reliability built for 24/7 operation.The S300 is designed to support up to 64 high definition cameras, allowing flexible scalability for your security camera systems. Compatible with DVR, NVR, video servers and video management systems designed for around-the-clock security, the surveillance never sleeps - so that you can.For great reliability and scalability in RAID and multi-disk enclosures, the S300 utilizes RV sensor technology to compensate for the effects of vibration from adjacent drives or cooling fans. Designed for demanding 24/7 Surveillance systems. Time tested reliability with up to 1 million hour MTTF and 600K load/unload cycles. Support up to 180TB/year workload rating. 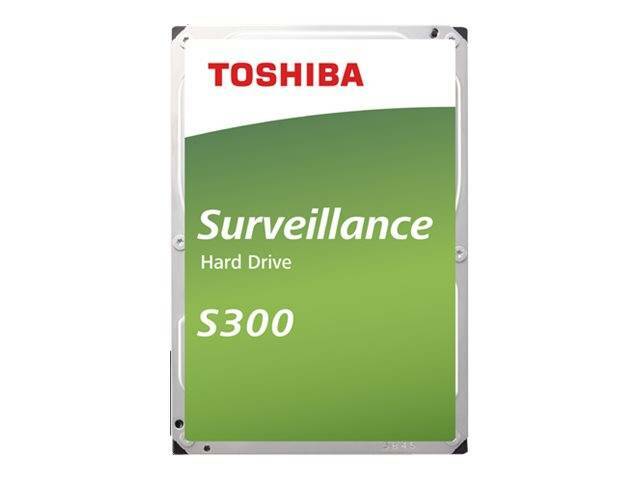 Toshiba S300 Surveillance Internal Hard Drives support up to 64 high definition video cameras, allowing flexibility to expand your security systems. Deliver high storage capacity so you can store more HD videos, enabling longer data retention on fewer number of HDDs. Fast data transfer speed up to 248 MB/s and up to 7200 RPM. Large cache size helps overall streaming performance and minimizes frame loss. Rotational Vibration Compensation Technology. Integrated RV sensors helps mitigate rotational vibration effects in multi-bay configurations. Operate in a wide temperature range and maintains durability even in harsh operating environments.